One of Creative Combat’s websites was the $400 question in the “Websites” category on Jeopardy’s Tournament of Champions this past Friday. 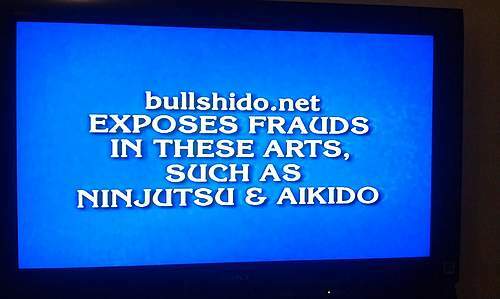 Bullshido.net is a Mixed Martial Arts and Combat Sports (Boxing, Wrestling, Shooting, etc.) website, which has a side mission of “fighting BS in the Martial Arts”, or in other terms, consumer protection. In fact, it’s pretty much the only consumer protection group for the billion dollar Martial Arts industry. With around 120,000 members (as of this post), the site is almost completely driven by user content; discussions, product reviews, and even feature articles are all provided by experts in its member base.